Labdhi was one of my closest friends both inside HLL and outside of the Company. We spent a lot of time together. His intellect and conceptual skills were admirable, as indeed his integrity and values. But he was also warm, generous, with a great sense of humor, and a truly loyal friend. Even today, my wife and I miss him. I joined Hindustan Lever in June 1968 as a management trainee straight out of IIM Calcutta, and Labdhi was probably the first person I met there. He had completed his initial training by then, was an Assistant Product Manager in the Soaps and Detergents division, working with BA Vatsal who was Senior Product Manager. We soon became friends – he was at that time, sharing an office on the fourth floor of Hindustan Lever with Arun Nanda and Ramchander. The detergent version of Lux Flakes that LRB launched. It was standard practice at the time for young managers to be given a couple of products to cut their teeth in brand management. Labdhi started off with Vim and Lux Flakes. Vim is a dishwashing product and it still exists. Lux flakes was a soap flakes product that was positioned for use in gentle washes. During the year or so that Labdhi managed the brand, he helped develop and launch a new detergent version of Lux Flakes. In April 1969, once I finished my field training, I took over Lux Flakes and Vim from Labdhi while he took over as Product Manager for Surf. During this period, we shared an Office, and became really close friends. Surf was an important product at the time - it was a market leader and one of the biggest earners for HLL. So, it was an important assignment. During this stint, he had to respond to an increasingly competitive marketplace that included the Sarabhai's Swastik Oil Mills and TOMCO, a Tata company. That year, Swastik Oil Mills launched a major promotions campaign that started making a significant dent in Surf's market share. We would be managing this challenge over the next few years first with Labdhi, then Amar Chakravarty, and then after I took over Surf's management. that initially dented Surf's market share. As far as I remember, we first tried to regain our share by higher levels of advertising spend with a new, more competitive campaign. It did work – but not enough as we lost some market share. 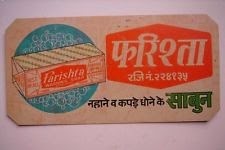 Then, after Amar took over Surf from Labdhi, we launched a series of high value promotions - buckets, shopping bags etc., and they did relatively well. 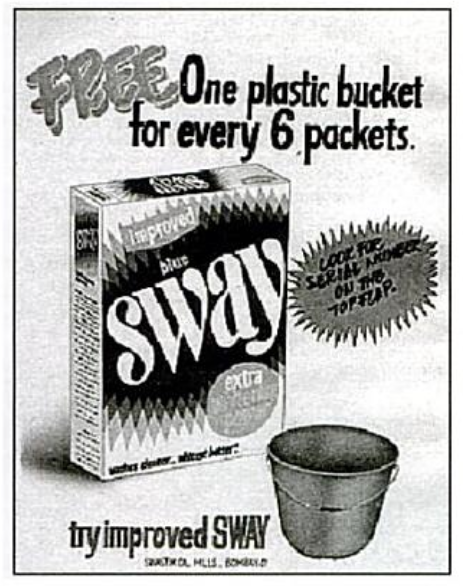 By the time I became the Surf Product Manager in '72, we had settled on a new mix of promotions and advertising spends. Our support expenditure per ton did go up, but our market shares were regained. Around this time, Nirma started impacting the market…and that started a totally new ball game. 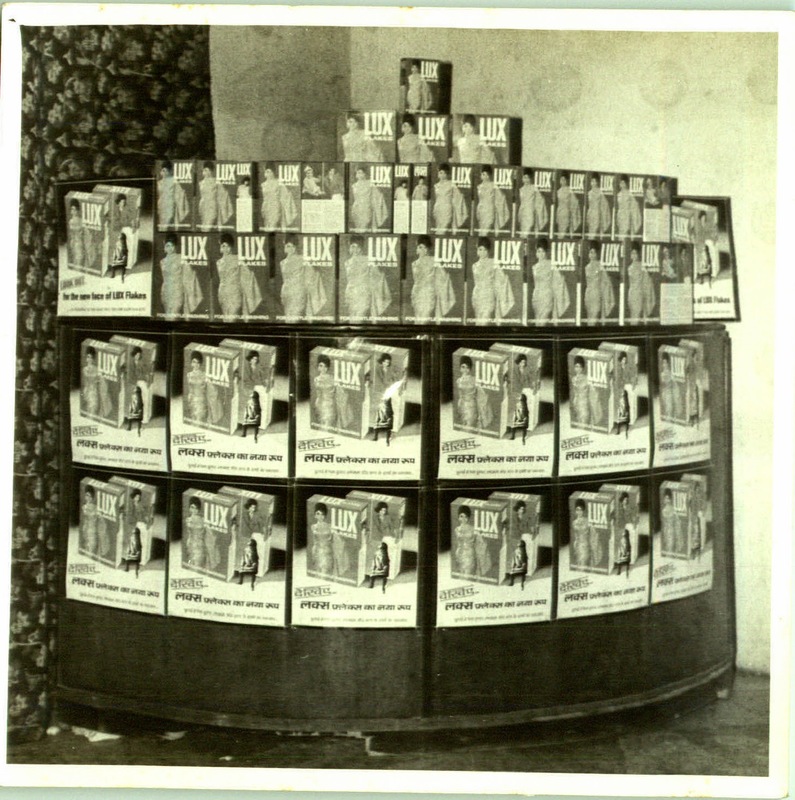 David Webb, an expatriate from Unilever Head Office came to HLL as Marketing Director some time in 1969. He was very energetic and fast-paced, and broke the ranks to spend time directly with young managers. He was impressed with what Labdhi was doing, felt that he had great potential, and got quite fond of him. In April1970, David sent him to Marketing Research, as a Marketing Manager as the function was under-developed at that time. The three of us - Labdhi, Amar Chakravarti, and I - were very good friends and spent a good deal of time together. At the time, I was working in the Calcutta office as area sales manager. We had monthly meetings at Bombay and I would usually stay with Labdhi. He had a nice, well-furnished apartment at Bhaveshwar Darshan on Altamount Road at the time - where I spent many a night. I remember it had a table and bed that went into the wall in the living room. Just before he left HLL, Labdhi, Amar and I spent a wonderful vacation covering many parts of North Bengal (Darjeeling, Kalimpong) and Sikkim. I think that only Labdhi amongst us had a camera…unfortunately, all the pictures are lost. I eventually returned to Bombay in 1972 just as Labdhi had left Hindustan Lever and took over Surf from Amar. While Labdhi was in the US, we kept in touch through letters. Around this time, HLL sent me to Australia for training. My wife, Avanti, was planning to join me but there was a problem of arranging for sufficient foreign exchange. At the time, the Government strictly controlled foreign exchange. Labdhi, at the time, was nice enough to send me some dollars from whatever little he had saved from his PhD stipend. 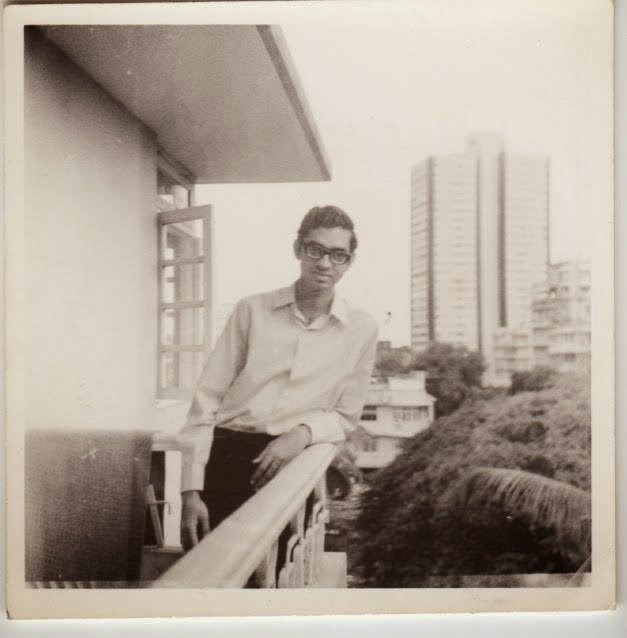 In 1975 he was back in India for his research and got married to Santosh in March and almost immediately after the ceremonies, both of them came and stayed in Bombay at our apartment at Blue Haven for a couple of weeks. So they literally honeymooned at our house. Once Labdhi returned to IIMA, we continued to stay in touch. I remember he would always urge me to come and take a session with his students at IIMA and I would always say, "its not my cup of tea". In 1988, he came and stayed with us in Bangalore, and again asked me to teach along with him at the marketing course for executives in Goa. This time, I agreed. However, that never happened…as a couple of weeks later, his plane crashed. *Hrishikesh Bhattacharya was a close friend and a colleague of LRB at Hindustan Lever. He went on to a distinguished career at HLL and Unilever where he was a senior vice president in charge of the global health and wellness business. He is now a management consultant and teaches part-time at University of Michigan, Ann Arbor and London Business School.